Welcome to Free Game Alliance a group of open source games, one for each genre in constant evolution. Play and get involved in the community! 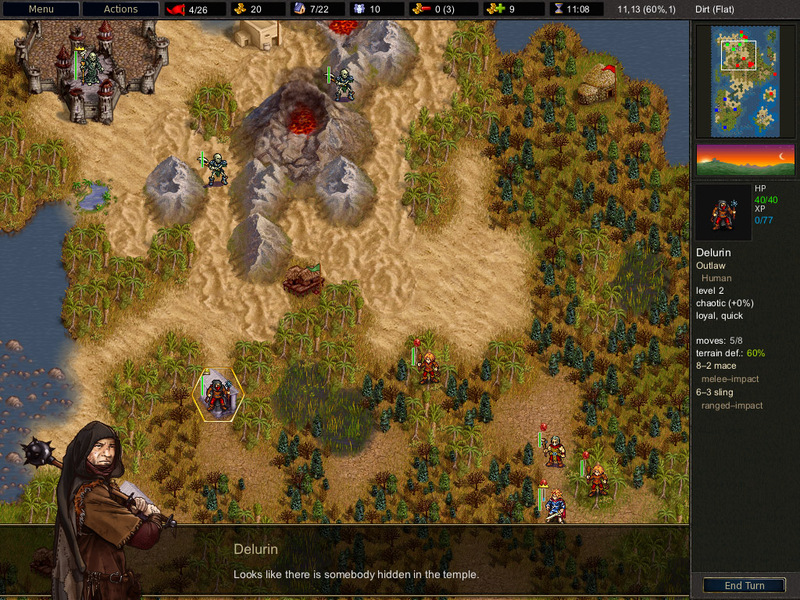 ''The Battle for Wesnoth'' is a turn-based tactical strategy game with a high fantasy theme. Build up a great army, gradually turning raw recruits into hardened veterans. In later games, recall your toughest warriors and form a deadly host whom none can stand against! Choose units from a large pool of specialists, and hand-pick a force with the right strengths to fight well on different terrains against all manner of opposition. There are at least two hundred unit types, sixteen races, six major factions, and hundreds of years of history. The world of ''Wesnoth'' is absolutely huge and only limited by your creativity - make your own custom units, create your own maps, and write your own scenarios or even full-blown campaigns. You can also challenge up to eight friends-or strangers-and fight in epic ''multiplayer'' fantasy battles. * Build up a formidable fighting force, starting from a single leader and a small amount of gold. 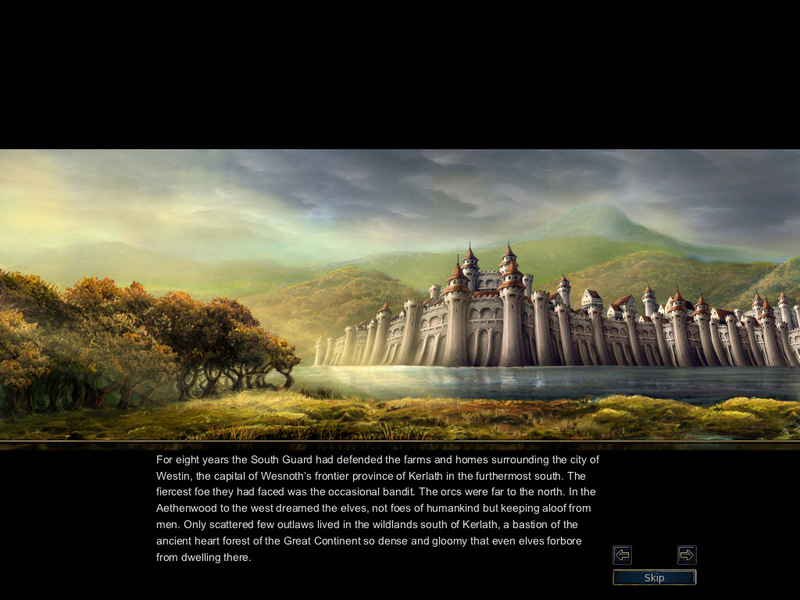 * Over two hundred unit types in six major factions, all with distinctive abilities, weapons and spells. * Experienced units gain powerful new abilities as they advance. * Several multiplayer options available, including Internet play. * Scores of different custom-designed map and unlimited random maps. * Hundreds of campaign scenarios available for download through a simple in-game procedure. * ''Fog of War'' feature available for a true test of generalship. 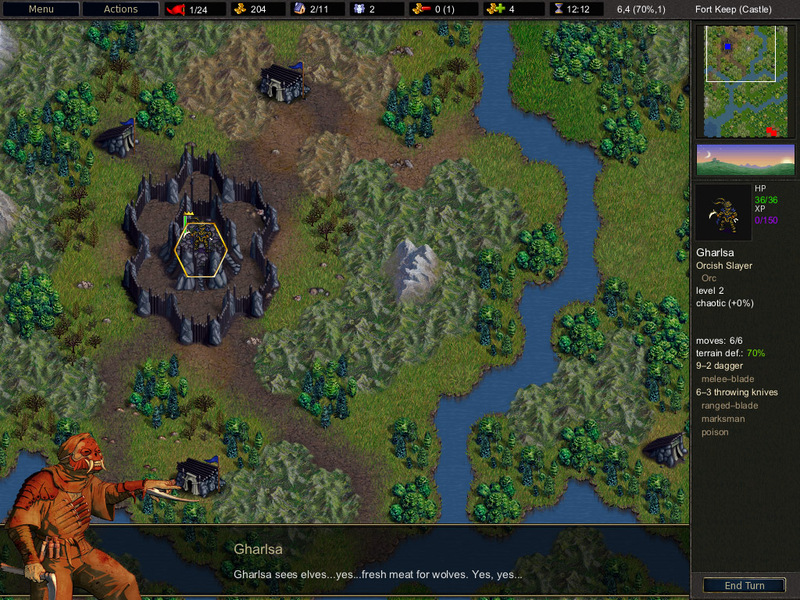 * Sophisticated markup language lets advanced users make their own maps, factions, or campaigns. * Excellent language support - 35 different languages currently available. * Compatible with Windows, Mac OS X, GNU/Linux, RISC OS, BeOS, Solaris, FreeBSD, OpenBSD, NetBSD, DragonFly BSD, AmigaOS4, OS/2, and eComStation. Site design by Joseph Long for Atomic Blue Inc. and the Free Game Alliance. Copyright for images and text belongs to their respective owners. Used with permission.